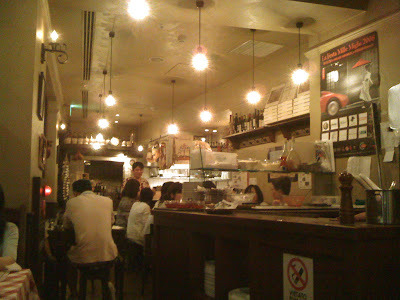 Yesterday we have gone to the trattoria for the 2nd time this month, thinking to introduce it to our friend, again. 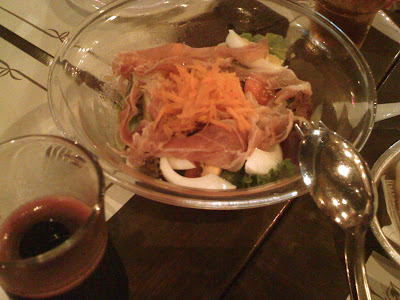 Actually we have planned to visit a beer garden nearby but since there was nothing special about the place, we switched. Luckily we managed to find a table there because it was crowded due to the late hour of our visit. And better for me, I got the best angle for the first time for my photo record. We did not order much because the hot and over-humid weather of Japan killed our mood for a nice dinner. 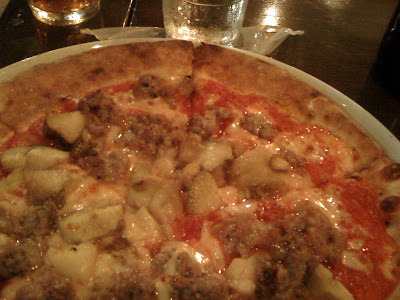 But as usual, we did not want to miss the delicious pizza of the month. As usual, it was great. 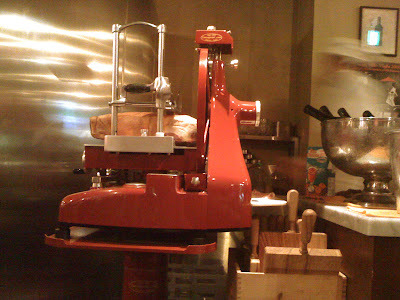 As for my wife, she had finally learned that the machine in the above photo is used for cutting meat, not bread. And for us, we were sure that we have more to learn about food and restaurant to really appreciate them. Just like the chinese saying, "we do not eat to live, but we live for food". Haha.